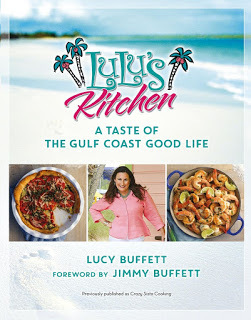 Lucy Buffett is the sister of the famous Jimmy Buffett, but she has become quite famous in the Gulf Coast area in her own right. After returning home to care for ailing parents, Lucy Buffett surprised herself by becoming a restauranteur and owning LuLu’s Sunset Grill. 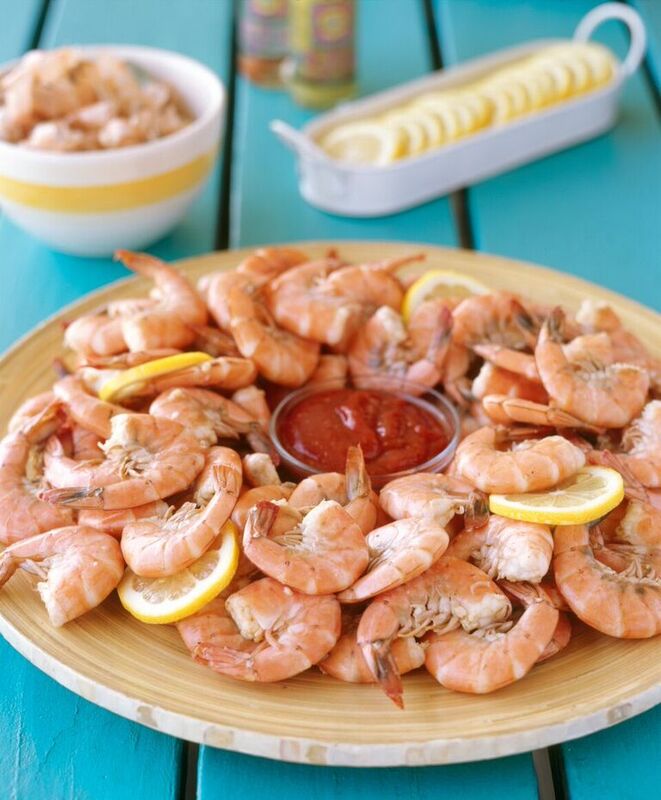 It was a huge success in Gulf Shores, Alabama, and she eventually opened a second location in Destin, Florida. This book is more than a cookbook, but a peek into Lucy’s life and her joy of food, friends, family, and most of all, laughter. I’m sad to admit that even though we have been to this same Gulf Coast area a few times, we have never visited her restaurants. But, I can promise we will be checking them out on our next visit. LULU’S KITCHEN is full of Southern and Gulf Coast dishes you would expect including lots of seafood. But, there are just as many recipes that will remind you of those family dinners around the table full of delicious home cooking. For fans of the south, there is a whole section on grits recipes and for all the Buffett fans, there is a section on Specialty Drinks. 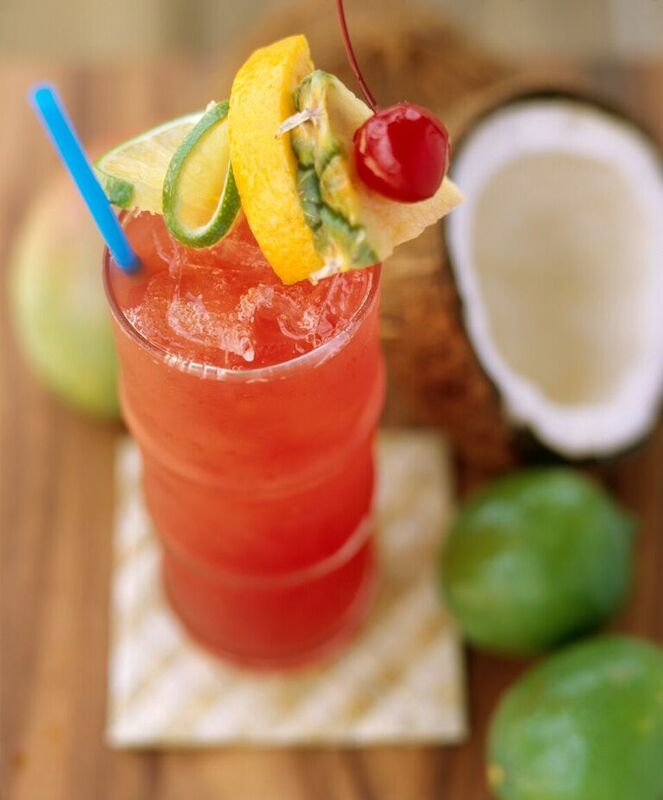 In fact, I’m hoping to enjoy a tall glass of LuLu’s Rum Punch this weekend! 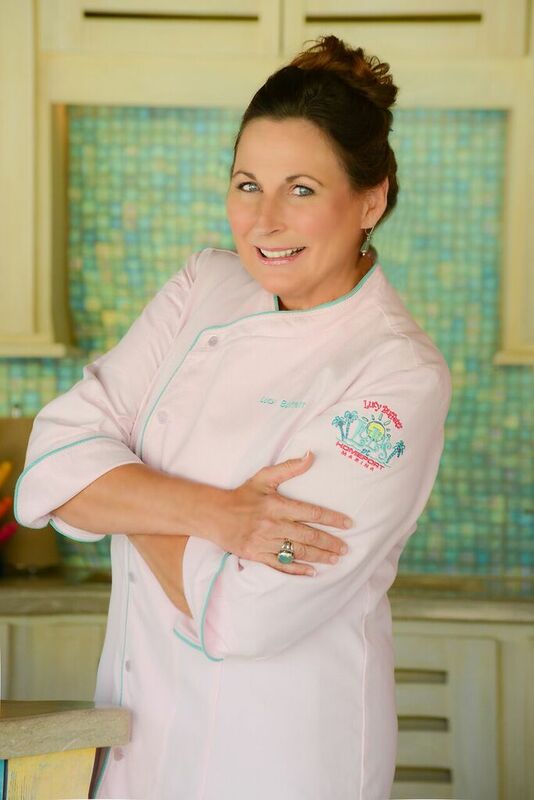 Buffett offers stories and anecdotes throughout the book giving readers a peek into her journey of becoming a chef and business owner. She offers “Ten Things I Absolutely Know About Cooking” including a requirement to like cooking, to keep it all casual, to listen to music while cooking and most importantly, to never cook shrimp for more than three minutes. Even though I didn’t try her shrimp recipe, it certainly looks delicious. 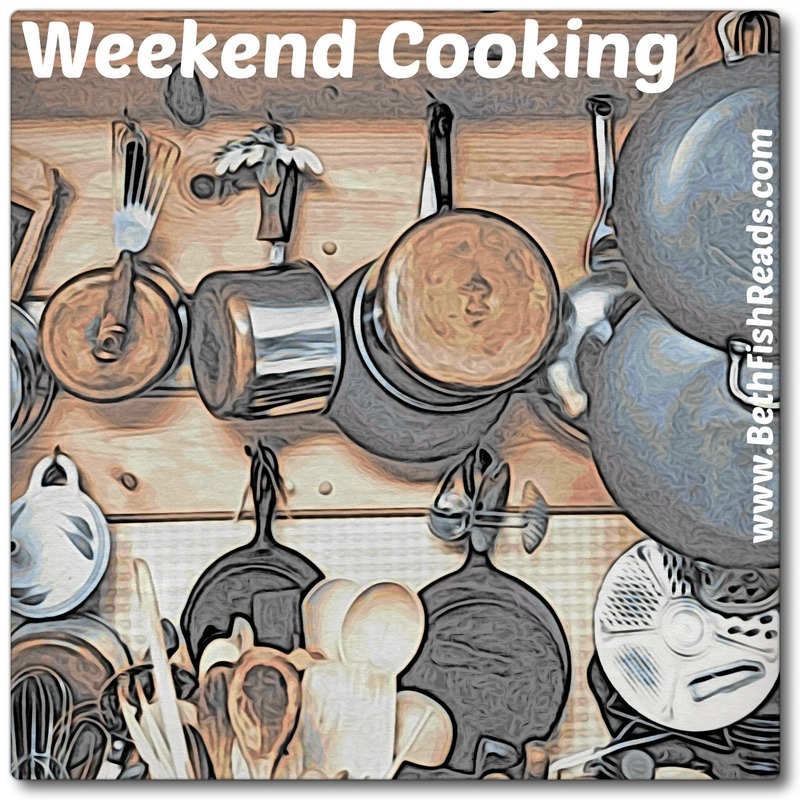 But, I’m sharing the recipe with you so you can try it! As you can see, the recipes are simple and easy to create right in your own home with ingredients easy to find in your local store. I found several I’m anxious to try from the Mahi Mahi Tacos to Barq’s Root Beer Chocolate Cake. 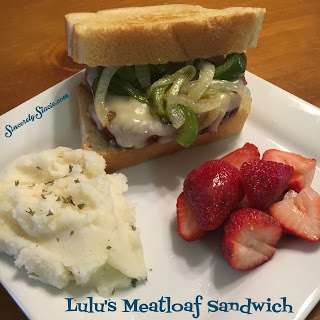 But the recipe I chose to make for my family was the Meatloaf Sandwich. 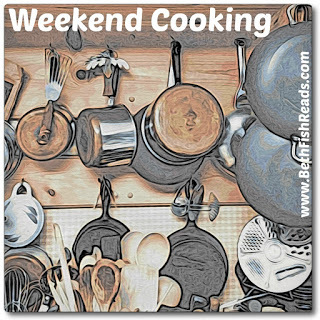 This is a recipe you can make ahead and serve later that evening or even the next day to your family. It’s filling and the leftovers are even better. This cookbook is full of recipes to fit every taste pallet. Buffet even includes a section of her essentials. These essentials include recipes for seasonings, dressings, and stocks. There are party specific groupings to host your own theme dinner, birthday party, or summer picnic. The personal stories that Buffett shares will make you laugh and will encourage you to visit the beautiful Gulf Coast region. LULU’S KITCHEN is full of amazing photographs that will make your mouth water and have you marking up the pages to try all the recipes. Looking at this cookbook will remind you to bring joy to your cooking and laughter to your table. UPDATE: Lucy Buffett appeared on Fox and Friends this week and they are sharing these recipes on their blog from her appearance. I thought their segment focused a bit too much on her brother than on her, but it’s still a great promotion for her. Click HERE to see the recipes and watch the video below. Lucy Buffett is a restaurateur of the award-winning, fun-loving LuLu’s which serves more than one million guests a year at two locations, one in Gulf Shores, Alabama and the other in Destin, Florida. Lucy has also been recognized for her tireless work on behalf of sustainability and the environment. However, the greatest passion of this self-proclaimed gypsy rebel and reluctant entrepreneur is cooking good food for the people she loves. LuLu’s Kitchen: A Taste of the Gulf Coast Good Life (formerly Crazy Sista Cooking) is her first cookbook and is full of recipes and stories that made her restaurant the famous destination it is today. You can find more information on Lucy at www.LucyBuffett.com. I've always liked the name Lulu for some reason. 🙂 And with a last name like Buffett, one would expect a cookbook. Those peel and eat shrimp look yummy and the cookbook sounds like a great read in addition to having doable recipes. Will have to look for it. That shrimp looks awesome. I'll have to see if I can get copy of the book. We had boiled shrimp last night, love her seasoning suggestions. As a matter of fact, I live a wee bit inland of the gulf cost area and we are 2 hours from Destin. This would be a great motorcycle ride to see her restaurant! Definitely going to check out this cookbook, you sold me with this review! We've been spending a lot of time on the Gulf Coast in Florida. I'm going to look for Lucy's book, I think it would make a great addition to our vacation home kitchen. I didn't even know he had a sister let alone that she owned a restaurant in Florida. I may have to take a trip to Destin sometime and check it out. Maybe my library has this book.